Whether you’re a seasoned veteran looking for a refresher, or you’re new to groundskeeping as new staff, summer help or a volunteer, you’ll find Groundskeeper U to be a great resource. Learning the right way at your pace is the best way to learn and retain the information. That’s what Groundskeeper U was created for: to give everyone the opportunity to learn the tried & true practices of big league groundskeepers. But how will you prove you really know what you’re doing? Get certified. 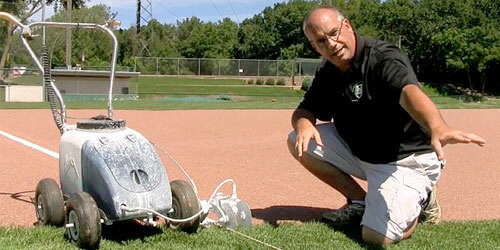 To become certified by Groundskeeper University you’ll need to be a registered user. Don’t misunderstand… GU is completely free, but to gain certification you’ll need to be logged in to track your progress, take the pop quizzes, mark each lesson complete, and then pass the Final Exam. If you’re a registered Beacon Athletics online customer, you’re already registered for Groundskeeper U. Just log in at GU using your existing Beacon account’s email and password. If you’re not already a Beacon customer just register for a free Beacon account and you’re ready to go. When you’ve marked each of the lessons complete, you’ll be ready for the Final Exam. 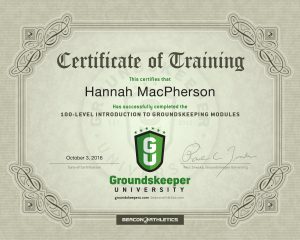 Pass the final and a certificate displaying the first and last name associated with your account will be available from the “Introduction to Groundskeeping” page. Just click the blue View Certificate button and you can rotate, print, even download your certificate. Then you’ll be able to actually prove you really know what you’re doing. If you’re a field manager, we know training new staff each year can be overwhelming. 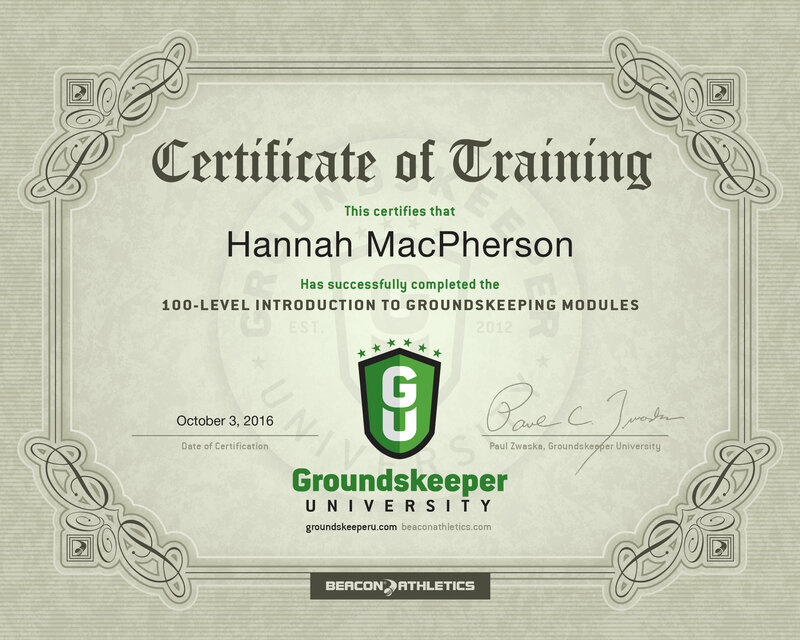 We encourage you to send your staff to Groundskeeper U to get certified in these eight 100-level introductory modules so they can become trusted, productive members of your on-field staff.